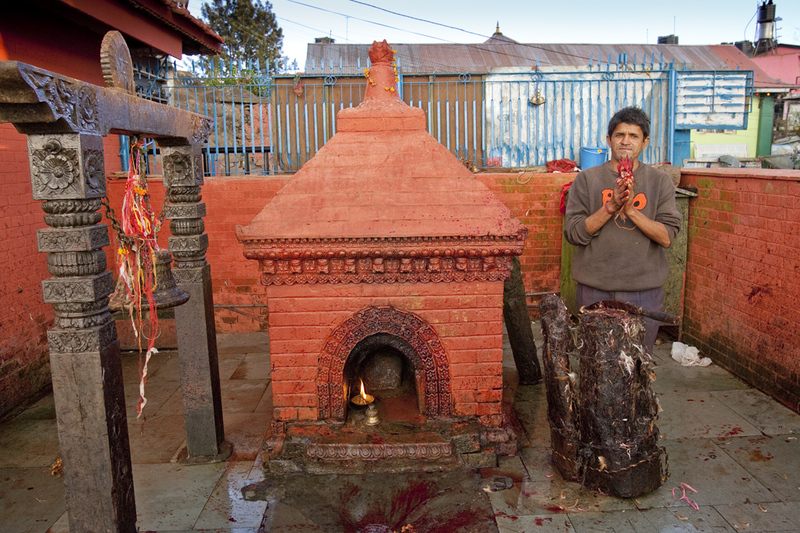 Many of Nepal’s best historic sites are within the Kathmandu Valley. Here we reference a few easily accessible sites away from both the Valley and Pokhara. Gorkha, 140 km west of Kathmandu at an altitude of 1,140m and just 20 km from the Pokhara-Kathmandu Highway, is perhaps the most important historical town of Nepal. The British term Gurkha evolved from the name Gorkha and refers to the famed fighting soldiers of the region. Gorkha’s centrepiece is the magnificent Gorkha Durbar, a tourist pilgrimage for Nepalis who flock up the 1,500 steps. It is from here that Prithvi Narayan unified most of Nepal, and parts of Tibet and India, and whose royal line, ending in 2008, was the last in Nepal. The Durbar itself is a temple, fort and palace complex built in the Newari style that lords over the town and valley from high on a ridge. Gorakhnath Cave, on the palace’s southern side, is a sacred cave temple carved out of the solid rock and among the most important religious sites for Nepali Brahmins and Chhetris. The fort closes at 6 pm and leather and shoes are forbidden, you must leave any items in a locker at the entrance to the buildings. Photography is forbidden in parts of the compound. 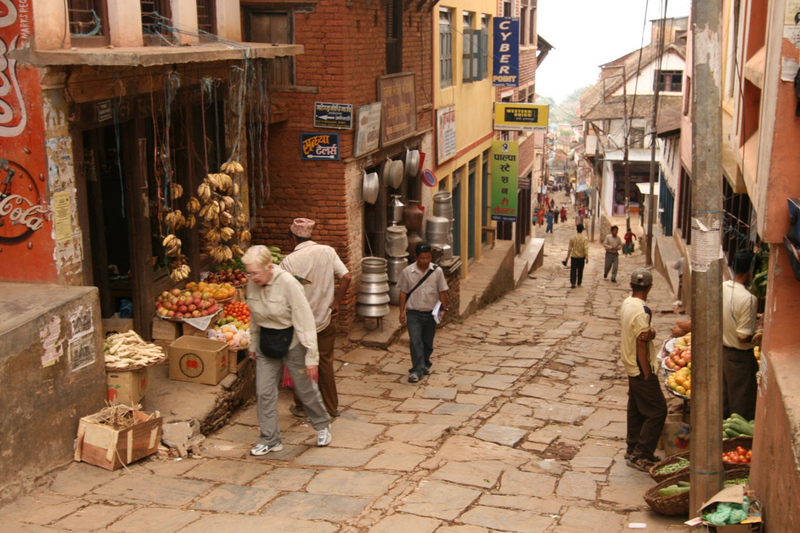 Gorkha Bazaar is a cobbled street market place where by people from neighbouring hill dwellings come to trade. Gorkha is 25 km from the Kathmandu-Pokhara highway and 5 hours from Kathmandu by public bus. About halfway along the main Kathmandu-Pokhara highway is Nepal’s highest ascending cable car (US$ 20 for tourists, US$ 7 for Nepalis) (an alternative is a 3 hour climb to aid your fitness levels) to the important temple village of Manakamana, an animal sacrifice site. The ‘Day of Doom’ for goats and chickens is every Saturday plus most holy days. It is a popular destination for Nepalis and there is plenty of accommodation. It’s an interesting village, though some of the scenes may be distressing to animal lovers. Visiting this site is obviously optional, but it should be noted that an engaging 5 hour cross-country walk to Gorkha can be done from here. Manakamana is at an altitude of 1,300m. Bandipur (or here), not far from the Kathmandu-Pokhara highway and not far after the Gorkha turn off, is a small gloriously rustic Newari town with a medieval ambience. Much of the 18th Century architecture has been faithfully restored and you could spend days here wandering around the town and making short hikes through the lovely surrounding countryside; villages, temples, viewpoints, caves, small orchards, terraced rice and mustard fields… A positively blissful place. Tansen, the Queen of the Hills, is a classic non-touristy, small Newari town resplendent with cobbled streets, medieval houses, temples, narrow streets, charm and friendly smiling locals. We could also spend a day here making a 7 hour return walk to the eerie ruins of the Ranighat Durbar by the east bank of the Kali Gandaki. Alternative lovely walks can be made to climb Shreenagar Danda (1 hour), Bhairab Sthan Temple (2 hours) or Ghansal (3 hours and we can pick you up at the other end). 1 day walk destinations include Ghorbanda, Bagnaskot and Butwal. 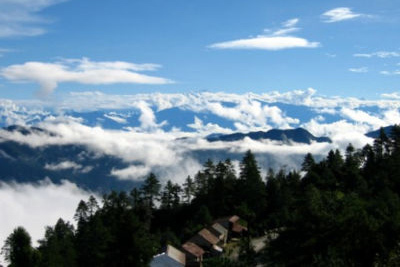 Tansen is at an altitude of 1,350m. 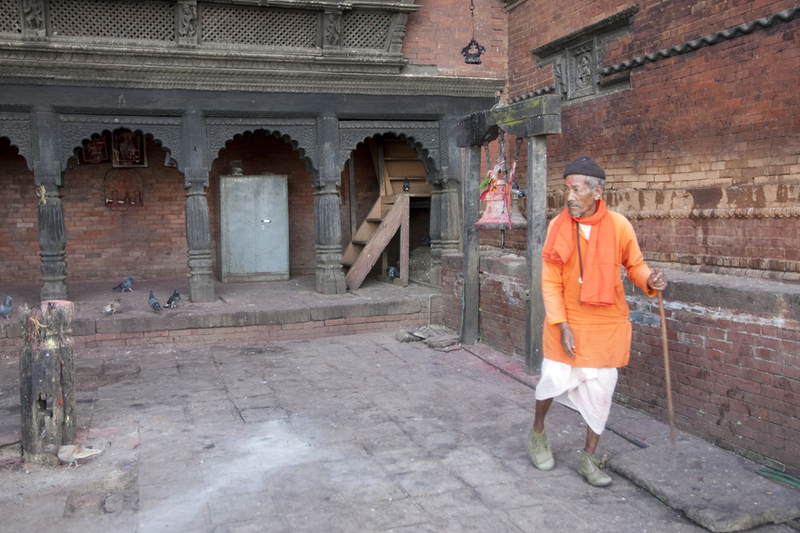 Tansen is 4 hours on a scenic road from Pokhara and en route to Lumbini, a further 3 hours. Daman is a village with a view (and a viewing tower) offering the only unimpeded vista of the entire Himalayan range – roughly 400 km of Himalayan panorama. Described by some as the most beautiful sunrise view in the world! There are also 193 acres of botanical gardens/forest best seen in late February/March when the rhododendrons are in bloom. Daman is 3 hours by road from Kathmandu and 3 hours through densely forested rhododendron from Chitwan. In spring these forests redden with flowers like a forest on fire. Daman is at an altitude of 2,320m and can get very cold in the winter, so come prepared.